The colours of Canberra | Where to next? Australia’s national capital turned 100 in March and she’s looking good. Part of her beauty lies in the wonderful plantings across the city—on suburban streets, in parks and private gardens, and around national buildings. From the outset, Canberra was to be a garden city. To support that goal, the government opened its first plant nursery in 1911 on three acres of land in the suburb of Acton. For the first couple of years, the nursery conducted trials to figure out what species of shrubs and trees would grow well in the region. In 1914, when it was time to start a larger operation, the nursery was moved to 70 acres in Yarralumla. Everyone in town has benefited from these green-thumb efforts. To this day, there is a free plant issue scheme that is available to anyone who purchases a new block of residential land. In the early days, people got 40 trees and shrubs, but now the offer is for up to $220 worth of plants. It’s estimated that Yarralumla Nursery has grown 50 million plants over the years. At present, it produces 400,000 plants a year. About 1100 species are propagated, with a fifty-fifty split between Australian natives and exotics. 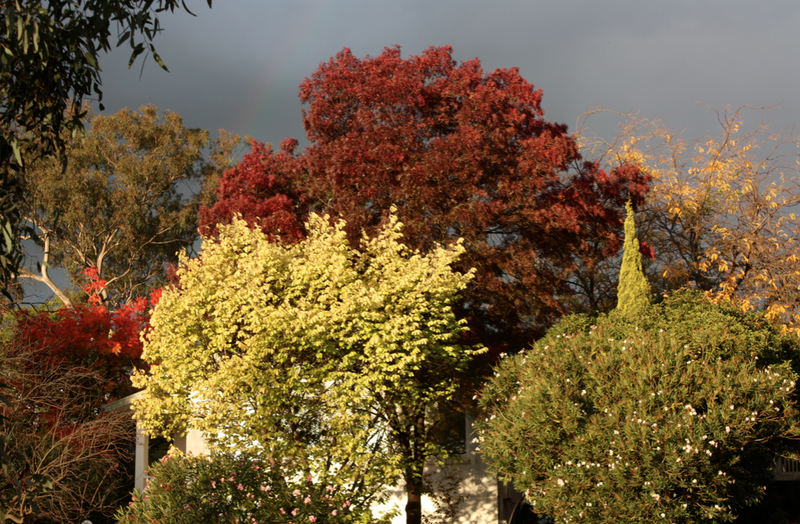 But I’m writing today because we’re at the tail end of autumn in Canberra and the colours have been fabulous. 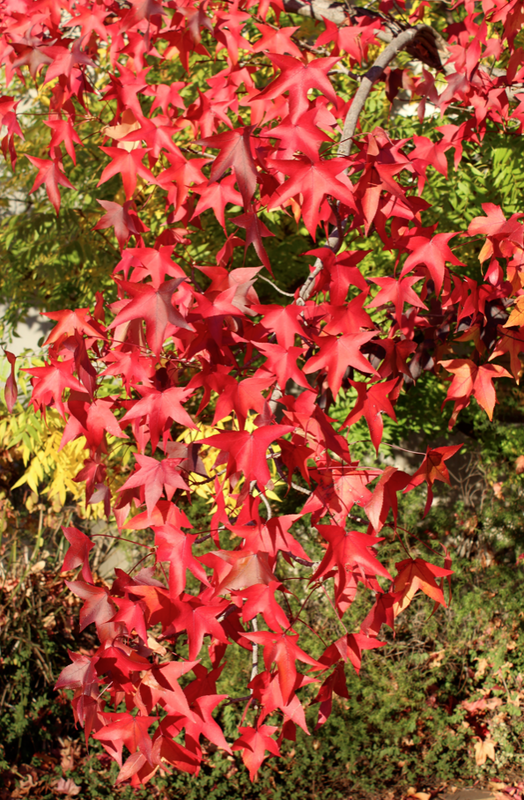 News reports say we’ve had the best display of colour in many years. I wonder if it’s because we’ve had so little rain in the last six months. I took these pics about a week ago, but at least two weeks after the best displays. I’ll try to be on top of things next year and take pics at the very best time. Great photos! My favourite time of the day is late afternoon when the setting sunlight makes the tress look alight. One of your photos almost captures that look. Thanks Carol. I love that time of day too. What a GREAT “free plant issue scheme” indeed! It is a great scheme, and is available for up to two years after the block is purchased. The colours are so beautiful, I love autumn and I love all the colours too. 400,000 seedling per year, that’s awesome. Thanks for sharing and have a wonderful week! Thanks Liz! Hope you have a great week too. Thank you for these beautiful photos Peggy. I especially like the one where the trees are reflected in the lake. I had a similar project in mind for Manuka and Griffith but, unfortunately, didnt’t quite manage it. I hope to do better next year. Thanks again. It was fun cruising around to get the pics. These are all from Campbell, Reid and Commonwealth Park. Next year, I’ll try to go farther afield too.